Located on the picturesque Cape Breton Island and voted by Travel & Leisure Magazine as the #1 island destination in continental US and Canada and #3 in the world, Cambridge Suites is the perfect starting point for your island adventures. Home to the world's largest fiddle, the Joan Harris Cruise Pavilion is just a short walk from the hotel and the historic properties where you can join a walking tour of Old Colonial Sydney. Sydney's only convention centre, the Membertou Trade and Convention Centre is a short 4 minute drive away and is located in a first nation mi'kmaq community. This 47,000 square foot facility hosts many events such as concerts, conventions, meetings and weddings. 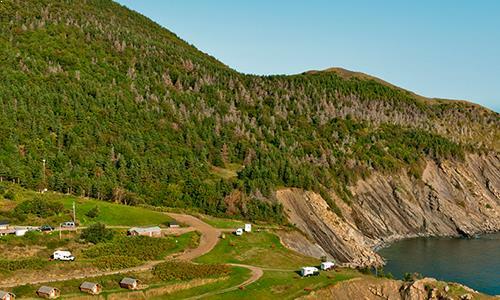 Cape Breton has so much to offer all within a short scenic drive away. 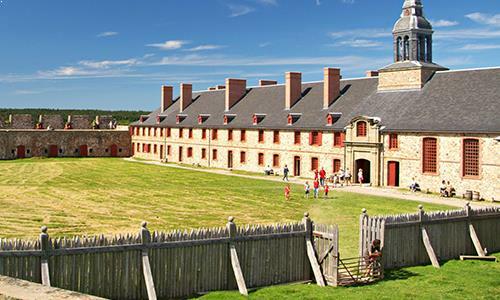 If you're a history buff why not relive the year of 1744 at the Fortress of Louisbourg, the largest historical reconstruction in North America. Learn about the man who invented the telephone and built the first powered flight machine in Canada at the Alexander Graham Bell Museum in Baddeck. Or why not let a retired coal miner take you deep underground in an ocean colliery telling the chilling stories of the families who once risked their lives and loved ones to work below the surface at the Miners Museum. Cape Breton is also home to some of the most unique and cultural music around as the Celtic Colours International Music Festival brings people from all over the world to experience musicians, singers, dancers, and storytellers for the annual autumn celebration. For the outdoorsy, sports fanatic, why not try one of the many world class golf courses around the Island such as The Lakes, Bell Bay, Cabot links and the world famous Highland Links located on the beautiful Cabot Trail in the Cape Breton Highlands National Park. There is so much to do and see while in Cape Breton, so why not make Cambridge Suites Sydney you're home away from home!